Lectors proclaim the Word of God and lead the Universal Prayer at liturgy. Lectors are assigned to a Mass time of their choice with monthly schedules printed in advance. Training is available for all interested. All are welcome! 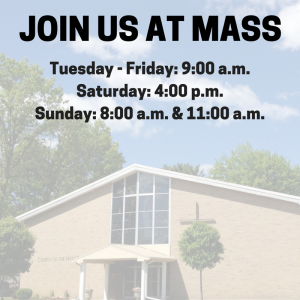 The current lector schedule can be downloaded from the Schedule Page of this web site. For additional information or to join, please contact Patricia Mollen at 748-8601.